The truth is, as the paying customer, you have the option to hire a service-provider to do as little or as much as you would like them to do. For example, if you hire a lawn care service and only want them to mow but not edge the sidewalk, then this should be acceptable. Or if you want an auto detail shop to not only shampoo the carpets in your car but also the carpet in your trunk, then they should be able to cater to your specific needs. 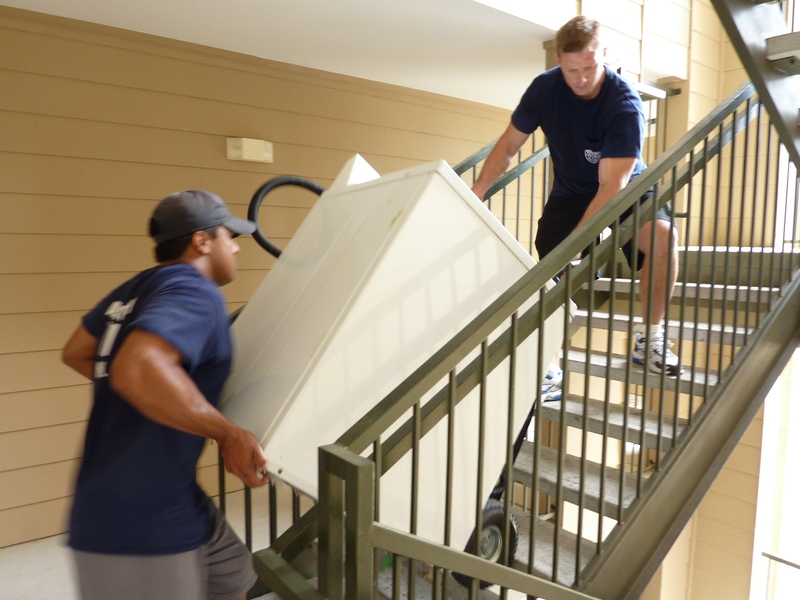 When it comes to hiring local movers to assist with a relocation, you can hire the movers to disassemble, pack, sort, load, unload, unpack, unwrap, put away and reassemble. However, if you hire movers by the hour, then you may want to save some money and not pay for a full service relocation. This is your choice and it is okay. At Great Day Moving, we can do as little or as much as you want – whether you need a little extra support moving only the large pieces of furniture into your new home or if you want someone else to worry about the majority of the hard work – packing dishes, cleaning out the garage, and lifting all the heavy items – Great Day Movers are here to help however we can. Our professional movers will take care of all your moving needs. We can even send a moving crew to help pack and load a shipping or storage container like PODS if that’s all you need done or load a rental truck that you’re about to drive across the country. And if you need assistance delivering furniture donations to charity or picking up that piano you just purchased from the classifieds, we can help with that as well. We are flexible and are here to help you. Great Day Moving takes the pressure off your back (figuratively and literally) and gives you peace of mind that all of your valuable possessions will arrive at the destination properly and safely.